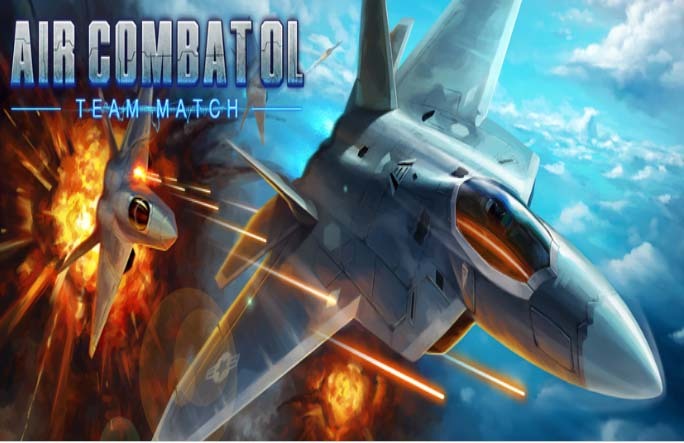 Air Combat OL: Team Match - Highlighted features: Console Quality of Next-Gen 3D Background Environments Based on Real Satellite Imaging! Merry Christmas and Happy New Year! Pilots, the dreaming squad system is now available in the major update ACO: Team Match. Please update to the latest version to enjoy the great fun of team match and receive rich gifts. 01. Join the squad and play team matches with friends. The best squad will be rewarded each month. 02. The X class challenge is now open for another wave of excitement. 03. Every Wednesday opened "Bonus Hunt" mode in the class challenge to ensure huge fun and rich bonus. 04. Precious Christmas diamond card guarantees 100 diamonds per day for 30 days. 05. Class X3 killer machine MG-144 Lord Jhiaxus is now available for you. 06. Class X2 planes FA-158 Wingblazer is ready for the fight. 07. 2016 New Year Special Plane FA-120 Zera Prime, ONE-TIME-OFFER, you can't miss it. 08. New loading illustration enhanced the spectacular visual effect. 09. New customized server - China, will be a effective cure for the server pressure. 10. Fix the delay issue when the plane respawns. 11. Fix the issue of the chatroom doesn't work on some Android devices. 12. Fix the issue of invisible opponents and freezing count time in the vs mode. 13. Fix the Internet issue that caused failing in claiming rewards in the class challenge. 14. Optimize the difficulty of Survival and Career mode. 15. Miscellaneous bug fixes and performance enhancements. ✓ Career Mode - Unrivaled collection of dogfight missions: Boss Challenge, Cannon Only, Duel and Free for All! ✓ Survival Mode - Train and master your piloting skills as you prevail against endless waves of enemy attacks! ✓ Versus Mode - Face off against friends and enemies alike in fast paced, one-on-one duel or two-on-two challenge!